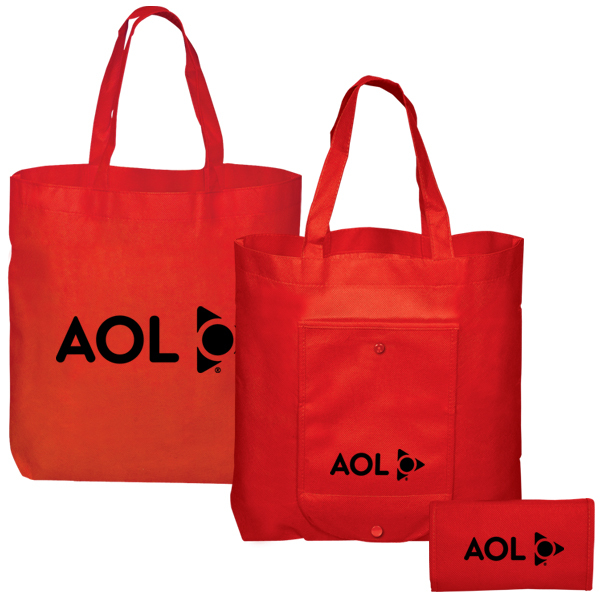 Folding Non Woven Tote are a handy sized reusable tote bag that folds into its own pouch. 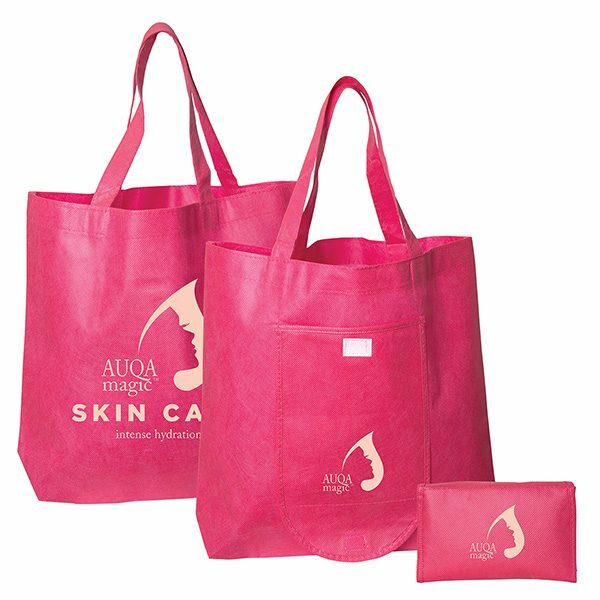 These reusable bags feature a front lower pocket imprint that can be seen on the back of pouch when closed. Contact our friendly sales staff today for pricing on these reusable bags. 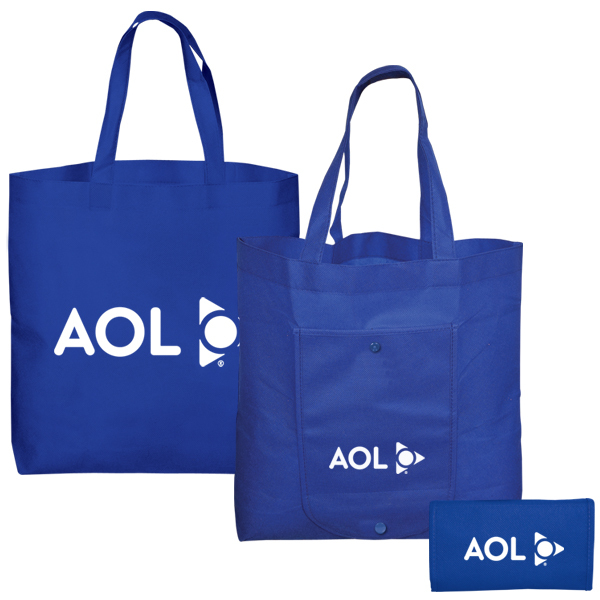 See some of our other great reusable bags here. We have a wide selection of all types of recycled bags. 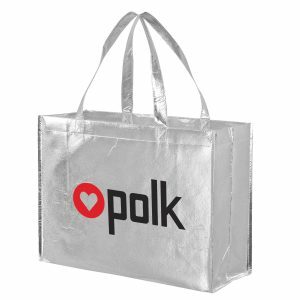 Folding Non Woven Tote are a handy sized reusable tote bag that folds into its own pouch. 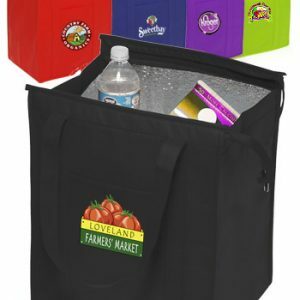 These reusable bags feature a front lower pocket imprint that can be seen on the back of pouch when closed. Contact our friendly sales staff today for pricing on these reusable bags. 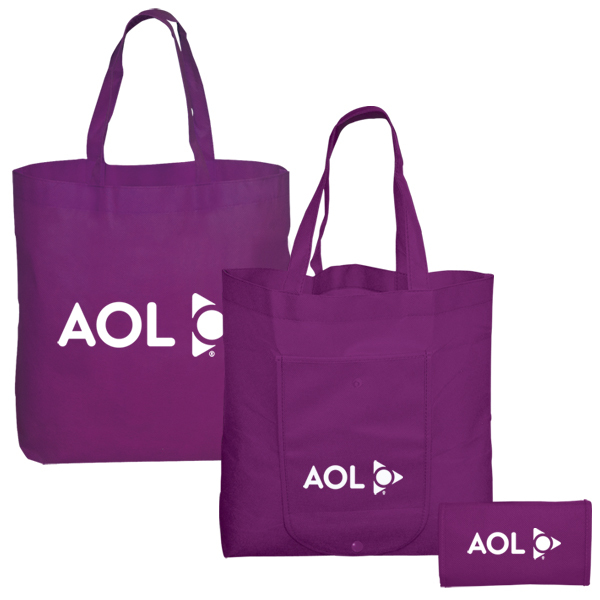 See some of our other great reusable bags here. 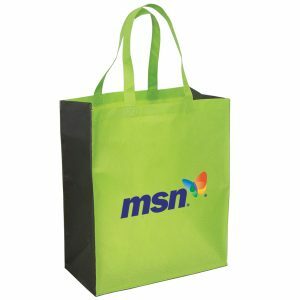 Reusable custom shopping bags are remarkably effective promotional products to use at trade shows and corporate events. All of our products are affordable and sold at wholesale prices. We also offer the wonderful option of ordering through our design center. This allows you to construct your order to meet your exact specs. Visit customgreenpromos.com for all options that we offer. All of our green reusable bags can be customized to meet your exact specifications. Contact our design center for details and pricing. 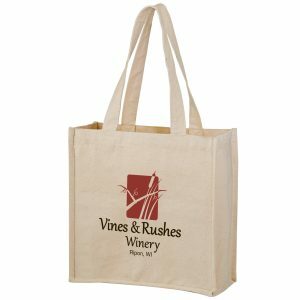 If you would like a quote on any of our bags ranging from our reusable non woven bags, wine totes, or our recycled plastic bags, give us a call today. Our sales department is ready to take your call. You can reach us at 888-565-2235.